End The War On Drugs — SHAW. New York is in a funny space right now on the path of cannabis legalization. It was a hot topic during the Governor elections and Cuomo knew that he needed to hop on the train or get left behind. What he didn’t realize was that the cannabis community (and the humble cannabis consumers of New York) want legalization but, only if it includes equity day one. Only if includes funding for programs that support breaking down the damaging injustices that the war on drugs created. That means making the industry accessible for minorities to enter. That means expunging records. That means allowing those who have been jailed the ability to enter the industry. That means not allowing cooperations to sweep in and monopolize the industry. so, I decided to google some information. I wanted to know what the war on drugs looked like in New York - from a numbers point of view. I found that around 17,500 people are arrested in New York City a year for cannabis possession charges. Black people are 8 times for likely to be arrested for low level cannabis charges than white people and hispanic people are 5 times more likely… even though the usage rate for all three races are about the same. Those numbers disturbed me so much. I want the world to see those numbers. I want us to know exactly who is being harmed in the war on drugs and who is winning in this green rush. 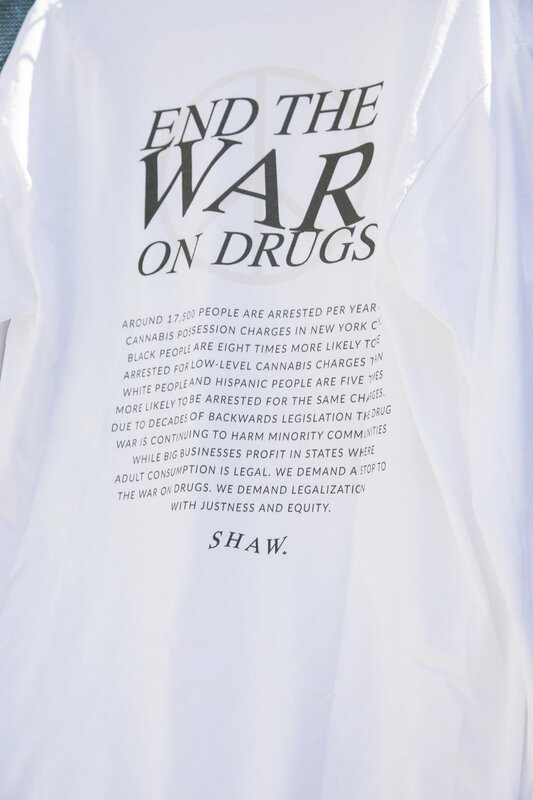 This shirt demands our request for legalization done the right way because we can not afford to see more harm done to communities who haven’t seen anything but harm. 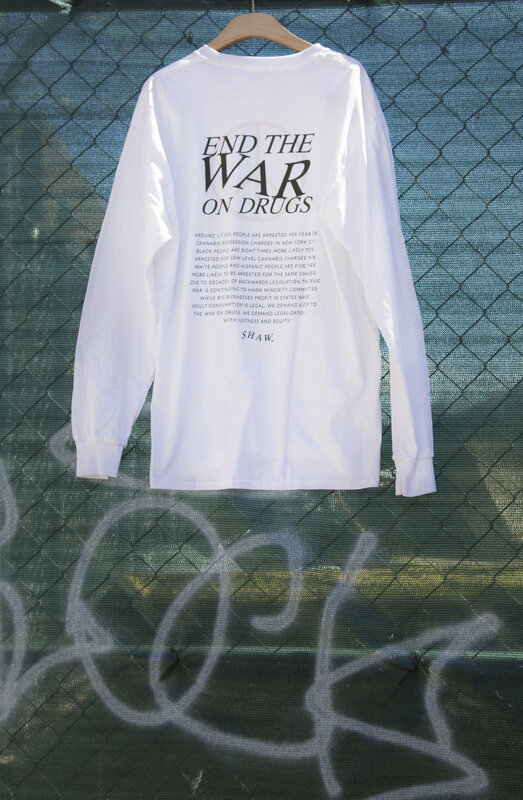 100% of the proceeds from the shirt were donated to the Drug Policy Alliance - an organization working on the ground to end the war on drugs. Collectively we raised $1,636.03 for the DPA, and this is only the beginning. Each month I will be creating a limited edition item where 100% of the sales will be donated to an organization working to break down the systemic racism in the cannabis prohibition.